How would you rate the service you received from us? 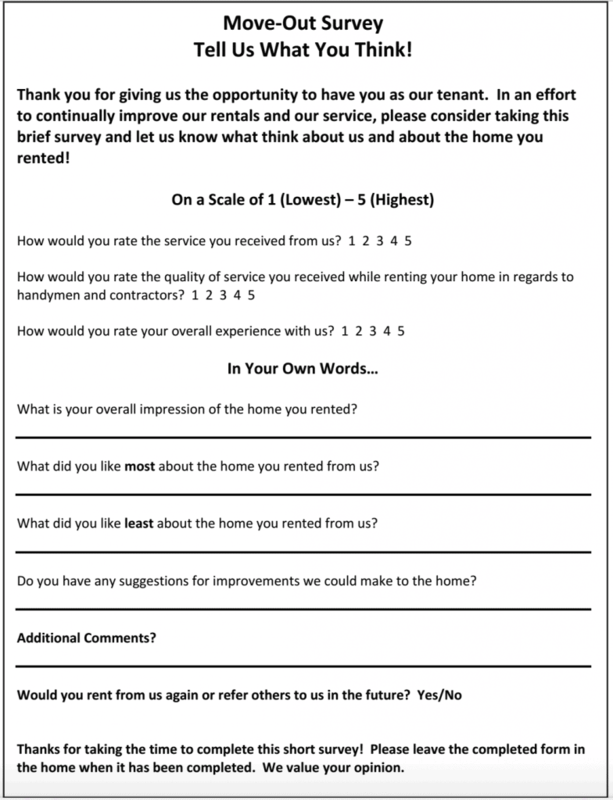 How would you rate the quality of service you received while renting your home in regard to handymen and contractors? How would you rate your overall experience with us? What is your overall impression of the home you rented? What did you like most about the home you rented from us? What did you like least about the home you rented from us? Do you have any suggestions for improvements we could make to the home? Would you rent from us again or refer others to us in the future? Questions like these make it easy for the tenant to answer honestly and will either validate a job well done or show you areas where you need improvement. 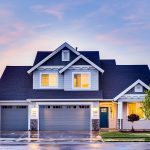 Either way, your tenants are your “customers,” and while the motto “The Customer is Always Right” definitely does not apply to tenants, their insight into the home and the way you operate your business is extremely valuable. We should always be striving to improve our business, and the survey is a good way to hold your feet to the fire. 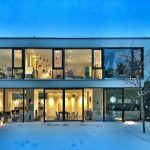 The more we can improve our business, the more efficient we become, the happier our tenants will be, and the more cash flow we can potentially produce. We’d call that a win-win-win. You want the rental returned to move-in ready condition by the tenant so you can move on with as little hassle and turnover time as possible. You want to reduce questions, confusion, or misunderstandings as to how the move-out process works. You want to reduce the temptation for bad or lazy tenant behavior at move-out. Lastly, with the survey you provide for your tenants to complete, you want to know in which areas the tenants were happy and in which areas you can improve on both the administrative side and the property side.